Don’t be afraid to experiment!, Go green!, Accessorize! Have guests coming over but feel your home décor isn’t chic enough? Or are you just bored with the same decoration? Relax! Everyone thinks this way at some point. 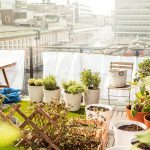 After all, who doesn’t like a trendy home? Truth is, not everyone has the budget to make their homes look fab. So, short of cleaning out your bank account, how can you add some zing to your home? 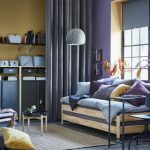 Here are some simple home décor ideas using IKEA’s vast product range that can make your home a place you can show off! Choose neutral colors if you feel bold ones are daunting. Try our textured cushion covers or window drapes – or even wall paint. You’ll be amazed at the make-over your room gets by just trying out some new home décor ideas – like new picture frames or wall art. 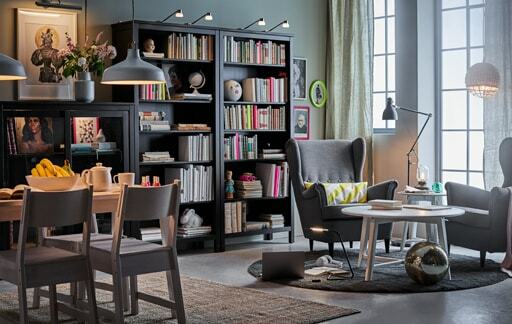 Choose from thousands of IKEA products to give your room a very dressed-up look. Select hues that complement well to add character and personality to your room. Live indoor plants and fresh flowers in vases never go out of style. They add positivity and you don’t need too many – just a few here and there can add a lot of freshness to any room. Be sure to pick the right kind of indoor plants depending on the natural lighting in your home. For instance, orchids are great for bringing life to a mundane bathroom setting, while a small rubber tree is perfect for your living or dining space. Even a simple flower pot or vase is a great focal point at the entrance of your home. A book shelf goes a long way to add style to your living area. You can also play with floor lamps to personalize each room. They’re great for improving the aesthetics and can be functional too. A piece of art on a wall-mounted shelf, sideboard or coffee table can create an attractive vignette. If you’re grouping items together, keep in mind the rule of three – choose three pieces that have something in common. Whether it’s candles, wall clocks, photo frames or wall stickers, the choices are endless with IKEA. So, you see, transforming an ordinary home into a lively space doesn’t have to be overwhelming after all!